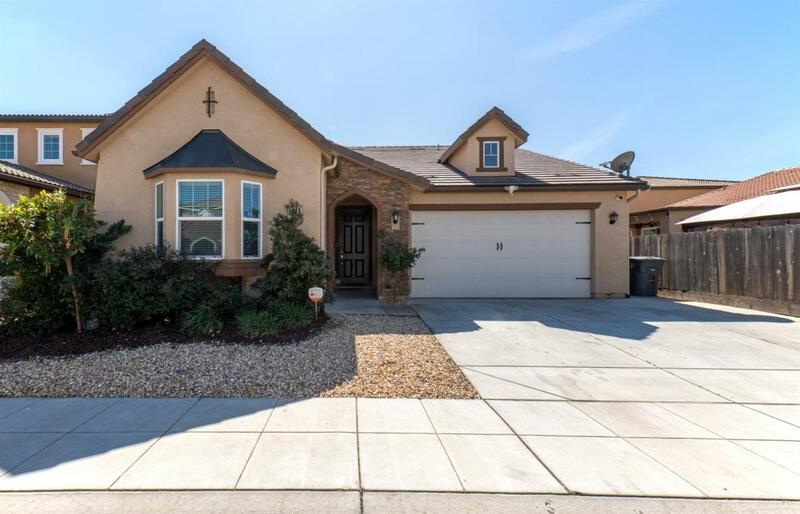 Come see this beautifully crafted home located in North East Clovis within walking distance to 3 distinguished Clovis schools. Built in 2015 by Wilson Homes, this house is loaded with many of the great amenities you'd come to expect in a modern home. Granite kitchen counter tops, fully functional kitchen sink island, built in stainless steel microwave, dishwasher, oven and gas range stove top. Every bedroom is pre-wired for TV hookups with HD TV pre-wired for the master bedroom. Outside, a covered patio and a gas stub-out hook up makes an ideal backyard BBQ for any occasion. Listing provided courtesy of Susan Lo of Fresyes Realty.